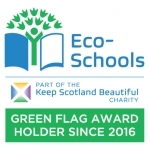 St Dominic’s Primary School in Crieff, St Stephen’s Primary School in Blairgowrie and Our Lady’s Primary School in Letham, Perth. 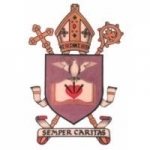 St Dominic’s RC Primary School is a Roman Catholic School and serves the Parish of St. Fillan. Although the majority of children enrolled at St Dominic’s live in Crieff, we have children who come from the surrounding towns of Braco, Muthill, St Fillan’s, Comrie, Madderty, Monzie, Gilmerton, Blackford and Auchterarder. St Dominic’s was started in 1891 by the Dominican Sisters. The present building was opened in 1966, within walking distance of the original site. In January 2006, an extension to the present building was opened incorporating Nursery and Wraparound Care facilities. The school is closely linked to St Fillan’s Parish Church. The parish priest visits the school regularly and all pupils from P1 to P7 attend Mass in the church on a weekly basis. Staff and pupils in the school work closely with the parish, particularly in preparing for the Sacraments of Reconciliation, Confirmation and First Holy Communion. Masses to celebrate these Sacraments take place in St Fillan’s Church. To visit St Dominic’s website click here. St Stephen’s RC Primary School was established by the Roman Catholic Church in 1841. It was located on the John Street site since that time. The school was refurbished in 2002. In August 2003, it was announced that St Stephen’s would be part of the Investment in Learning building programme. Therefore, St Stephen’s have now moved to a new shared campus with Newhill Primary School, located in the old “Gamesy”. The move took place in August 2009. 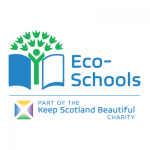 St Stephen’s RC Primary School is set within Blairgowrie Community Campus amidst beautiful grounds in the equally beautiful scenery of the Strathmore Valley. To visit St Stephen’s website click here. 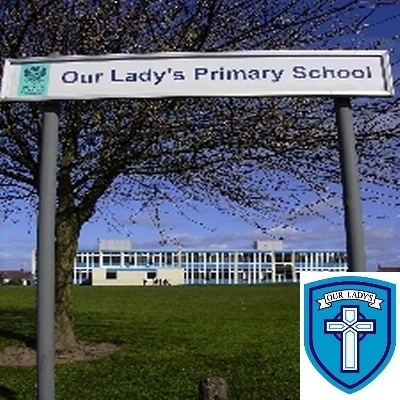 Our Lady’s Primary School was built in 1968 and is situated in a large, grassy area in close proximity to the Parish Church, Our Lady of Lourdes. Our Lady’s Primary is a Catholic school, where we seek to grow together as a community of faith and learning. Classrooms are spacious and bright and there is a happy, friendly atmosphere which helps in the growth and development of the children during Nursery and Primary school life. If your children are happy to come to school then learning is much easier. 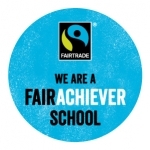 Through this environment, we want to produce happy, responsible, caring children, encouraging self-respect, respect for others, self-discipline and independence. We aim to ensure an all-round development of the children not only physically and intellectually but also spiritually, emotionally, socially and morally, through an awareness of the individual child’s needs and interests. To visit Our Lady’s website click here.